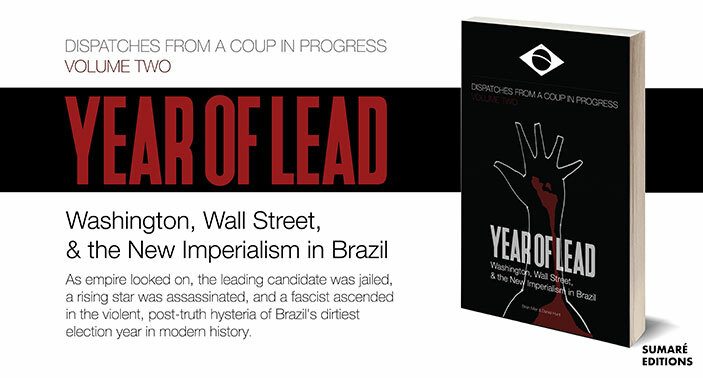 Fear of police, social tyranny and a highly repressive government once marked everyday life in Brasil. In the Pedro Asbeg directed documentary Black and White Democracy (Democracia em Preto e Branco), Asbeg spotlights an exceptional period in Brazilian history when football, rock ‘n’ roll and politics converged, changing the social landscape in unprecedented ways. Sports and music are often viewed as simply entertainment, but throughout history entertainment has also transformed the world. In the mid-80s a powerful trinity of athletes led by Sócrates (often known by his nickname of Dr. Sócrates), Wladimir Rodrigues dos Santos and Wálter Casagrande Jr. – the first football workers – merged their distinct and revolutionary viewpoints, changing their team from the inside out, and ultimately becoming symbols of social and political progress in Brazil. The internal transformation within the Corinthians’ Democracy reflected transformations slowly happening in the entire country – the dismantling of oppressive power structures, players (and people) demanding a voice in the decisions that affected their lives, team and country, and the recognition that questioning authority should be a right, not a privilege for a select few. 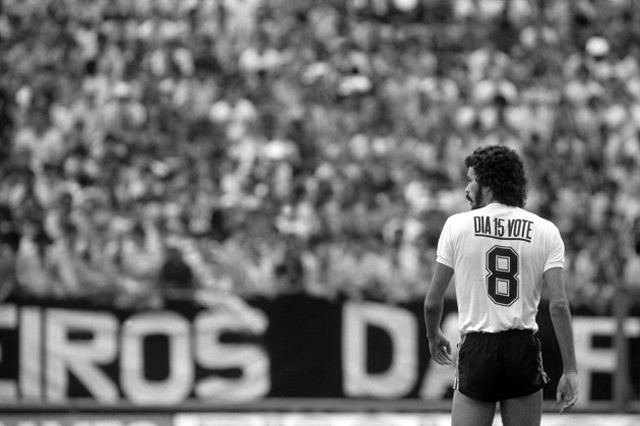 The Corinthians’ Democracy footballers were brave, and bold, in a time when it was both unexpected and unparalleled. And, along with burgeoning rock ‘n’ roll, the movement was galvanized. It is heartening to witness athletes and musicians who were not simply in it for the love of money and fame, but passionate about uplifting the people – their solidarity changed the country. Pedro Asbeg spoke to Sounds and Colours about the arduous making of the film, and why despite its challenges, it needed to be made. S&C: Why did you name the film Black and White Democracy? 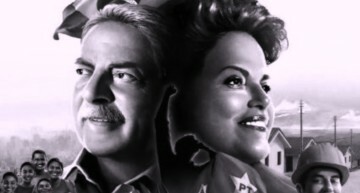 Pedro Asbeg: The main focus of the film is the quest for Democracy in Brasil, as well as the history of the “Corinthians’ Democracy”, a football club where the players managed to participate in the team’s decisions and wore black and white [the team colours]. S&C: This is a very intense documentary, looking at a very trying time in Brasil. Why did you feel it was important to make this film? Pedro Asbeg: The themes of the film (football, music and politics) are part of my formative years. I wanted to talk about those themes not only because I consider this an important period that is still not studied at length, but also because few people know the part the Corinthians’ Democracy played in the country’s re-democratization process. S&C: The documentary covers politics, the impact of the Corinthians’ Democracy footballers, and the rise of rock ‘n’ roll in Brazil – it’s a big undertaking. How did you approach the making of the film in order to make sure that the three narratives were developed enough so that the audience, who may not be familiar with this rich time in history, could understand each element and its significance? How long did the making of the film take? Pedro Asbeg: It took me four years of non-stop work to get the film done and a big part of this time was used in the “sewing” of those three themes. I agree it was an audacious attempt, but it made sense to mix the three themes, as they are all together in one main topic: freedom of speech. 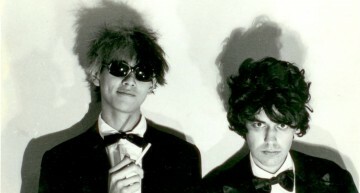 S&C: The early days of Brazilian rock ‘n’ roll were very rebellious. Is Brazilian rock still as defiant and political, or has it lost its bite? Pedro Asbeg: Unfortunately, that rock boom, with those rebellious lyrics, is long gone. Brazilian rock is now very shy, turned into pop-rock with no balls. Nowadays, if you want to listen to contestation in Brasil, you should listen to hip-hop artists or old records from those rock bands. S&C: My favourite moment in the film was when Dr. Sócrates, Wladimir Rodrigues dos Santos and Wálter Casagrande Jr., got on the stage with singer Rita Lee and gave her a Corinthians’ Democracy jersey to wear. It was an iconic moment, and it’s very cool that she narrated this film. What was your favourite or most impactful moment when researching or making the film? Pedro Asbeg: I’m glad to know you liked that moment, it’s one of my favourites too and probably one that was harder to get. That footage of them on stage belongs exclusively to one TV channel that, in the beginning of our editing process, said they would not sell us any material. It took me more than a year to convince them that it was extremely necessary to us, specifically because it sums up the whole film: Corinthians’ Democracy players singing a rock song that says “vote for me”. Apart from that moment, I think the team entering the pitch with the “win or lose but always with democracy” philosophy and the conclusions from Casagrande and Sócrates are special moments in the film. S&C: History has shown that when people are silent, even democracy crumbles. And when the youth are silent, and uninvolved, a country cannot progress. 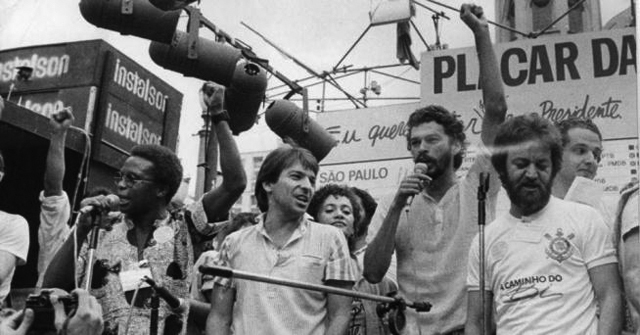 Do you feel that the Brazilian youth of today are as involved in political and social change as they were in the 80s? Pedro Asbeg: For sure our youth is not as political as it was in the early 80s, but I think it’s understandable, as people who are 20 today have grown up in a very different country. They take things for granted and spend great energy screaming on Facebook instead of taking to the streets. On the other hand, it’s important to remember the great rallies we saw in 2013, when finally people woke up to question the government, the police and certain unpopular decisions that have not been discussed within society. S&C: Music and sports are often viewed as merely entertainment — “people’s opium.” Do you think musicians and athletes in Brazil, and throughout the world, are playing/or should try to play a greater role in fighting for social justice? Do you think they can make an impact today as the football workers and musicians did in the 80s? Pedro Asbeg: No doubt musicians and athletes can and should participate in society, as they are part of it. I think the impact and need for their voice to be heard nowadays is even bigger, as stars such as Neymar have millions of fans around the word. How many people could be influenced by his words and open their minds to certain topics if Neymar’s interest was bigger in society and less on his hair, his boots and his ladies. S&C: Many important changes in Brasil were pushed forward by the work of the Corinthians’ Democracy and the infancy of Brazilian rock ‘n’ roll music. Has the progress continued and evolved, or has another “lunch break” taken place? Pedro Asbeg: I believe our democracy is getting stronger every day, as people now can look at our country and see the chance of a military intervention as a joke. But, of course, we can’t dismiss the extremists and we can’t rest. Democracy is something we must fight for every day to maintain and improve. S&C: Sócrates sadly passed away in 2011. 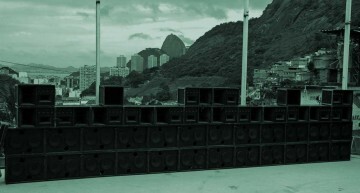 Are Wladimir Rodrigues dos Santos, and Wálter Casagrande Jr., still politically, socially and musically active? Pedro Asbeg: None of them are as active as they were, but at that moment they developed a great sense of citizenship that is with them forever. The film – interviews with both of them were made in 2010 – show that, I believe. S&C: In many countries, we take democracy for granted. 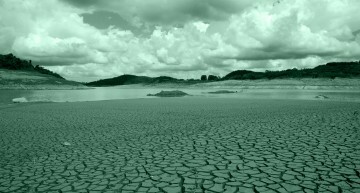 The film made me question how we can prevent this from happening so as not to step backwards. Do you think Black and White Democracy has important messages that we can take into our current social and political time, to continue to move us forward? Pedro Asbeg: It is understandable that people take certain important achievements for granted when you don’t have to fight for them, they were there when you were born, and that’s why I decided to end the film with a statement read by Rita Lee to show the audience how important it is to continue moving forward. As a filmmaker, it is what I could do, in order to send this message. But this can be made with all sorts of expressions and even with everyday attitude. This article was reprinted with the kind permission of Sounds & Colours .The original article can be found here.